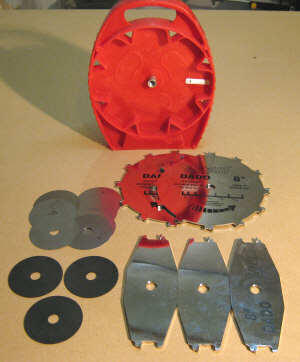 Good quality dado saw blades don't have to cost a fortune. And, after a few cuts with the Freud sd208 stacked dado set, I'm sure you'll agree with me. 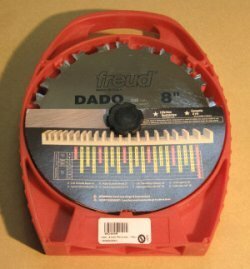 I've always had good results with freud saw blades, so when I came across the sd208 on sale at an insanely low price, I just couldn't pass it by. Freud SD208 8" Stacked Dado set. It can handle cuts from 1/4" right up to 7/8" and includes a shim set so you can fine tune your dados for a precise fit. Better still, it cuts perfectly flat bottom dados that rival those made by much more expensive dado sets. Note: There seems to be two versions of this dado saw blade for sale. One has a black oxide finish and comes with five chippers. This model has been discontinued, but is still availabe as old stock at many retailers. The one I bought has a chrome type finish that Freud refers to as a "Silver I.C.E. industrial chrome alloy plating". This version has three chippers and extra 1/16" spacers to compensate for the extra two chippers on the older model. Freud claims the two dado sets are identical in performance. Apparently, Freud changed the design to keep the manufacturing costs down and the retail price of this dado set the same as the older version. This dado blade review is for the three chipper chrome version. The complete set comes with everything pictured above. The sd208 comes with two twelve tooth outside blades, one left side and one right side. They alternate from a beveled tooth to a flat top tooth and must be installed with the upper part (point) of the beveled tooth to the outside of the dado set-up. The three two wing chippers have flat top teeth that are designed to carve a perfect flat bottom groove. Both the outside blades and the chippers have Freud's anti-kickback design to improve safety. Three 1/16" spacers and a variety of different thickness shims allow you to fine tune the dado blade to match the thickness of your material. This is especially important with all the odd ball size plywoods for sale today. Freud put it all together in a unique plastic carry/storage case. One side of the case holds the spacers and chippers and the other holds the outside blades and the shims. The design of the case keeps the carbide teeth separated to avoid chipping them. As much as I hate plastic, this is a well thought out design. The company's byline for this dado blade set is "Freud’s quality and craftsmanship in a stacked dado set, but at a wobble dado price!" The price is about the only thing comparable to a wobble dado though, as the dado grooves cut with the sd208 dado saw blade are far superior to any wobble blade I've ever used. This 1/2" dado cut in baltic birch plywood turned out flawless. Flat bottom and clean square shoulders. Freud also states this dado set will produce flawless cuts in laminates and melamine, veneered plywood and solid woods, so I thought I'd try a few cuts and see if their claims had any merit. All the cuts performed below were made with a zero clearance table saw insert. I thought this would be fair considering even expensive dado saw blades can produce some chip-out without one. The first cut I made was a 1/2" wide by 1/4" deep groove in baltic birch. The dado stack cut smoothly and with very little effort on my part. As advertised, the cut was flawless. The bottom of the dado groove was perfectly flat and the shoulders were square and chip free. Score one for freud. I changed the stack to 3/4" wide and set the blade height to 3/8" for the next cut in red oak, which is much harder than the birch plywood. One of the things I was worried about when I bought this dado saw blade was it's size. At 8", I thought it might be too much for my little contractor saw. I was wrong. Let me tell you, the blade never slowed at all. In fact, half way through the cut, I fed the stock a little faster and it just hummed right through the oak like it was softwood. And it produced another beautiful cut. 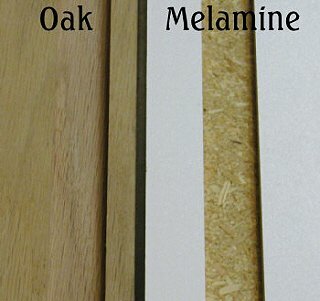 The last cut I made was in melamine, which is just particle board with a plastic laminate glued to both sides. I new the dado blade would have no problem cutting this material. I was more interested in how it treated the plastic laminate, whether it would chip the edges or cut them clean. I could not find a chip anywhere, not even where the blades exited the stock. I'm pretty impressed with the Freud sd208, it did an excellent job on the materials I tested it on. For what I paid for it, I consider it to be one of the best deals I ever made. Even at the suggested retail price, it's a great deal. You can order the sd208 at Amazon if you can't find a good deal locally. Always cut a test piece to confirm your width and depth are correct. Use a scrap piece of the same wood as your workpiece. Use a zero clearance table saw insert to ensure a splinter free dado. Even the best dado blades benefit from using these. When stacking the blades to set your width, make sure the teeth are staggered and not touching one another. Digital calipers are great for measuring the width of the stack precisely. When using shims, make sure the shim doesn't fall in the threads of the arbor and prevent the stack from tightening properly. A couple of drops of light oil on the shim will help hold it in position. 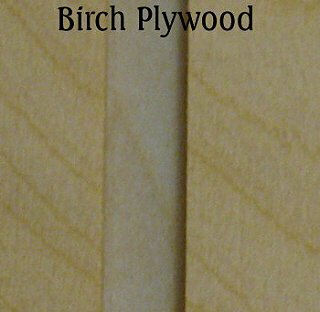 A featherboard above the stock can help keep the depth of your dado more consistent in thinner material. Use a piece of scrap material behind the cut where the blade exits the stock to prevent tearout. How to set up and install a stacked dado blade set. Make your own zero clearance table saw inserts.